Shopping for cleaning products is a lot more complicated than it needs to be. There are dozens of sprays and concentrates that promise to keep your surfaces spotless, and they usually have confusing words in their ingredients. This all-purpose cleaner comes out clear and completely odorless. But don’t let its unassuming nature fool you: this stuff gets the job done. The spray solution cuts through dust and grime, leaving behind a streak-free shine. 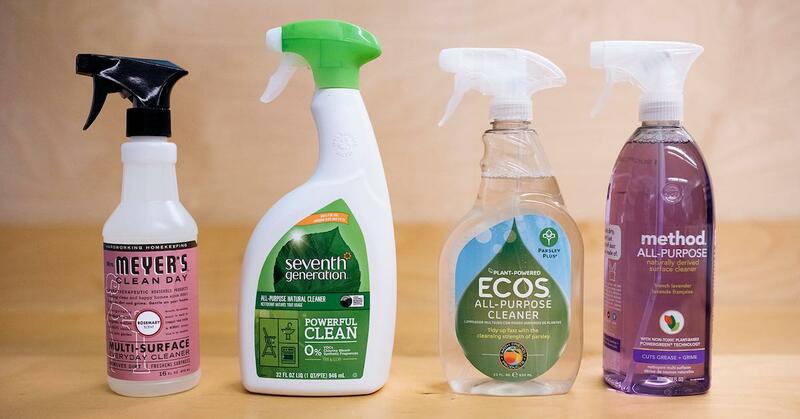 Seventh Generation, which is one of the biggest names in eco-friendly cleaning products, emphasizes plants over petroleum. Its cleaner is a USDA Certified Biobased Product, which means that a third party has tested and verified the contents to be primarily plant-based. (The minimum required percentage for multipurpose cleaners is 56 percent. 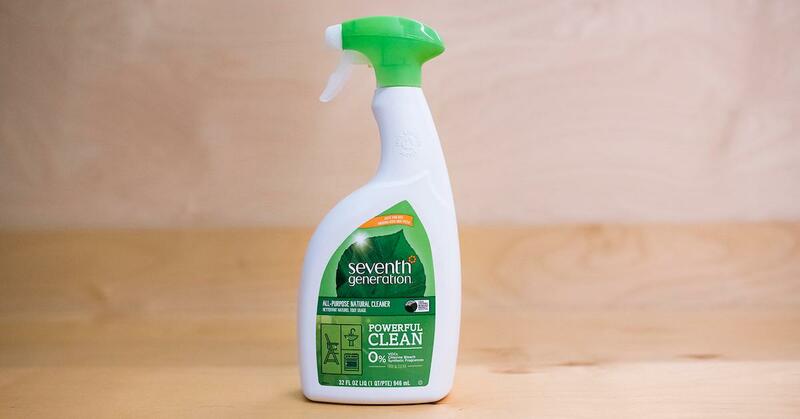 Seventh Generation’s cleaner boasts 91 percent biobased content.) You can find the USDA label on the back of the cleaner, along with a little rabbit logo. That’s the Leaping Bunny, and it indicates a cruelty-free product that has not been tested on animals. 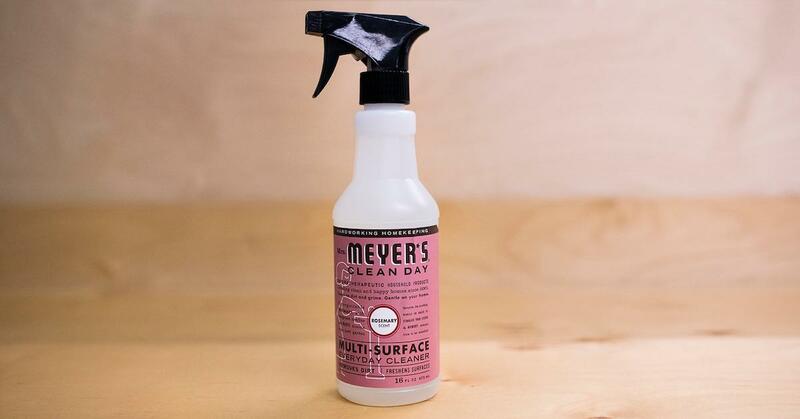 This all-purpose cleaner comes in bottles that are made from 100 percent recycled plastic, like so many other Seventh Generation products, and it’s completely kosher and gluten-free. The ECOS all-purpose cleaner bears the Leaping Bunny logo, as well as the EPA Safer Choice label, which means it’s met EPA standards on pH levels, toxicity, and other metrics. The cleaner’s ingredients, like potassium sorbate and citric acid, are derived from plants. But most impressively, ECOS manufactures all its products on four carbon neutral plants that have been family owned and operated since 1967. The company achieved water neutrality in 2016, and boasts a Zero Waste Platinum certification from the U.S. Zero Waste Business Council (USZWBC). Mrs. Meyer’s, like ECOS, is big on “garden inspired” scents. Its multi-surface cleaner comes in aromas you’d find in nature: mint, basil, honeysuckle, and bluebell, among many other options. We tried the rosemary spray, which didn’t quite stack up to the real thing. The smell was a slightly warped take on the herb’s inviting scent. But it’s only a small mark against the spray, which is an effective cleaner with lots of eco-friendly features. When it comes to ingredients, Mrs. Meyer’s is almost exclusively plant-based. The company claims its multi-surface cleaner is 98 percent naturally derived, a number it achieved with a combination of essential oils, birch bark extracts, and plant extracts. It's certainly missing a lot of synthetic additives. The spray solution is created without parabens, phthalates, formaldehyde, glycol solvents, or artificial colors. There’s also a Leaping Bunny on the bottle, and that bottle is made with at least 25 percent post-consumer plastic. This is the only spray we tested with a distinctive color, and at first, it’s a little jarring seeing purple liquid all over your countertop. But Method’s cleaner won’t stain your surfaces — and its coloring agents are nontoxic, just like everything else in the bottle. Method prides itself on “plant-based powergreen® technology” and is pretty transparent about its ingredients. The company maintains a list of chemicals it never uses, which includes chlorine bleach, phosphates, parabens, phthalates, and ammonia. 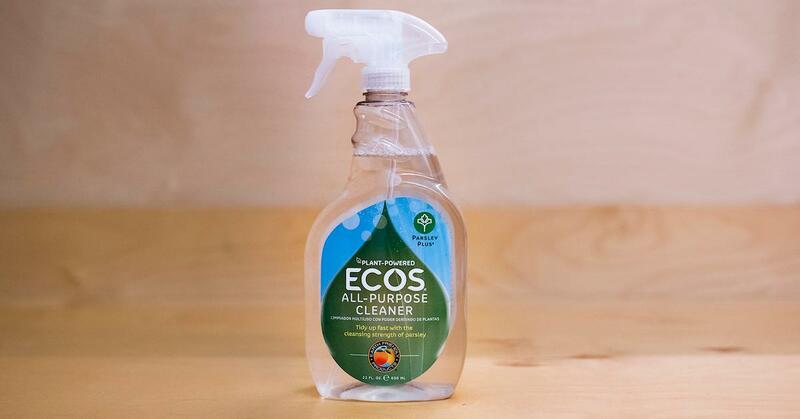 The all-purpose cleaner earned a Cradle to Cradle Gold certification and comes in a bottle made from 100 percent recycled plastic. Although there's no Leaping Bunny label on this cleaner, Method does have that certification. As a PR representative told us, they just couldn't fit it on all the bottles. We tried the French lavender scent, which is pleasant and not overpowering. But if lavender isn’t your favorite, there are seven other fragrances available, ranging from cucumber to honeycrisp apple. 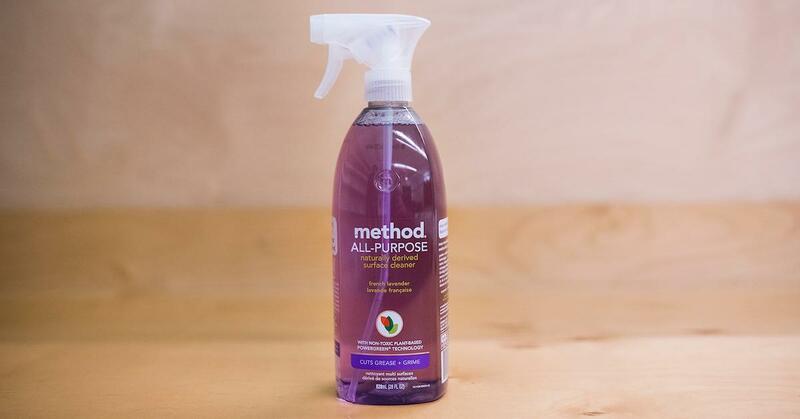 Method’s cleaner eliminated grime from countertops easily, without leaving behind any streaks or tacky residue. It’s also, objectively, the best designed bottle of the bunch: sleek, colorful, and sturdy. Method is often the only “green” cleaner available in pharmacy chains like Walgreen’s, and it makes for a great alternative to Clorox or Lysol.